As for 2018, the choice for game of the year quickly whittled down to two games. One, a stunning transformation of a popular franchise, replete with brilliant game play mechanics and gut-wrenching plot threads involving a father and son’s journey across a dangerous land. The other, an open-world game that gives “GTA V” a run for its money while managing to ensnarl its players with a truly phenomenal story. Both easily deserve the title of game of the year, but a decision had to be made. When everything is said and done, “God of War” is simply masterful. To take a character such as Kratos — a protagonist so one-note he redefined the meaning of the phrase — and to be able to transform him into someone so much more than the sum of his flawed parts is stunning. Here’s a father who has trouble connecting with his son, a warrior who’s trying to run away from his past, a husband who has lost his wife (again); in effect, he’s so much more human than he’s ever been, even if the monster he was before still lurks just beneath the surface. Throughout more than 30 hours of game play, “God of War” is heartbreaking, exciting, clever and surprising. The amount of care and skill that went into its creation is obvious from the opening menu, making it the best game of the year. If this is the track developer Sony Santa Monica wants to take, I’m all aboard for whatever comes next for Kratos and Atreus. “Red Dead Redemption 2” is simply meant to be savored drink by delicious drink. Rushing through such a polished, well-crafted experience would be a disservice to the work Rockstar put into the game and the money you yourself invested. With a stellar story and the best open-world environment I’ve ever set foot in, “Red Dead” is a masterpiece from its stunningly gorgeous opening to its shockingly powerful conclusion. And even when you get through that story, there’s still so much more for you to explore — including the “Red Dead Redemption Online” multiplayer mode. In effect, “RDR2” manages something I wasn’t sure was possible: It gives open-world games such as “Grand Theft Auto V” and story-centric games such as “God of War” a run for their money as one of the best games of this generation. 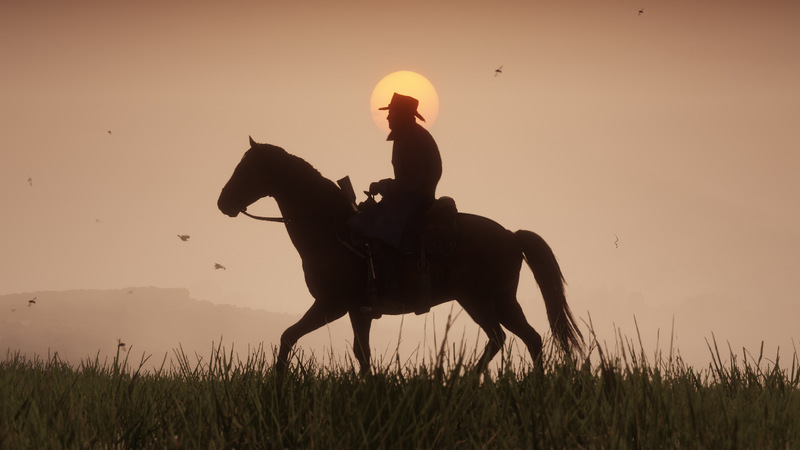 After more than 70 hours in this gritty, engrossing world, all I have to say is: Long live the outlaw. 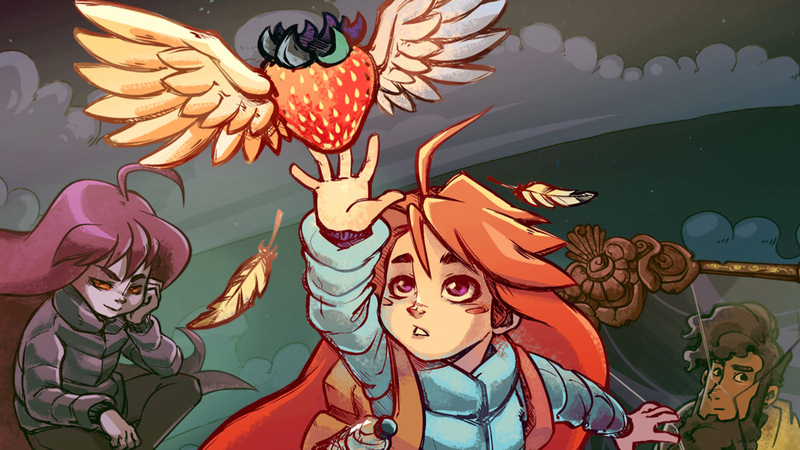 “Celeste” didn’t quite catch my eye when it was released in January: I’m not much of a platform gamer, and the pixel-art style already seemed overplayed as of late. So I didn’t think much about the game until a good friend said I should check it out. I still can’t believe how I nearly missed out on one of the most worthwhile games of the year. Yes, you’ll be jumping onto and from a lot of platforms, but the mechanics of the game allow for everyone to enjoy the challenge (you can basically skip the story if you’re only into the mechanics or you can get help so you can better progress and enjoy the story). However, more than its fantastic controls (which at first seemed oh-so-simple …) and awe-inspiring soundtrack (which gets amazing remixes if you feel like challenging yourself), what makes the 2-D game truly stand out is its surprisingly relatable story. It’s not every day that a platformer stuns you with its tale of depression and anxiety, that will leave you feeling contemplative as you dash about. I found much to love here, and I trust most others will as well. 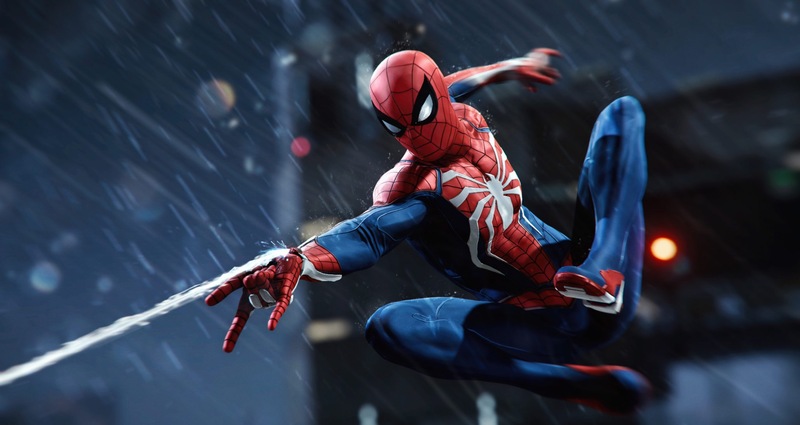 “Marvel’s Spider-Man” excellently reminds us that Spider-Man is also Peter Parker, and his life, somehow, is more than just saving the day from the creeps of New York City. But because of the fantastic mechanics related to both combat and travel, you’ll have plenty of fun cleaning up those streets regardless. A great story, grounded in as much realism as a Marvel superhero video game can be, will snare your attention throughout. A few hiccups aside, “Spider-Man” delivers with as much strength as Spidey’s webs. 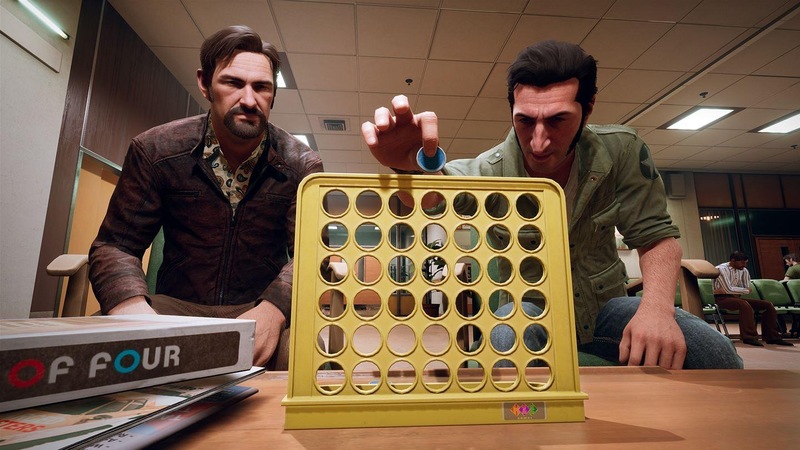 “A Way Out” challenges the meaning of cooperative, two-player gaming. It starts off jittery, but you’ll quickly fall into the game’s strange rhythm. For me, I don’t see how else the game could have been done. From grand escape scenes to playing board games, the exotic to the mundane, Vincent and Leo’s journey of skeptical cooperation shows that taking risks with your game play can pay off. “A Way Out’s” cinematic nature and forced co-op play may not be for everyone, but I encourage you to give it a chance if you can. Who knows, you may just strengthen your real-life friendship in the process. All I wanted from “Super Smash Bros. Ultimate” was everything — and let me tell you, I got what I wanted. The crown jewel of the game can be found in its title: “Ultimate.” The Nintendo Switch exclusive offers every character and stage and mode you could ever want. The game boasts more than 70 unlockable fighters (including my favorite, Zelda, which I luckily unlocked almost immediately), 103 playable stages and even an engaging single-player mode, the “World of Light” campaign. But, of course, it’s all about the multiplayer aspects, and “Ultimate” maintains all the beautiful chaos and joy of previous installments. You can create your own game modes and all that jazz, but there’s nothing quite like smashing your opponent off the side of Final Destination and claiming a well-earned victory. The latest game in the long-running Japanese crime-drama series is a remaster/reimagining of “Yakuza 2” much in the same way “Yakuza Kiwami” was of the original game, but even better. The use of an upgraded version of the Dragon Engine from “Yakuza 6” allows for a multitude of quality-of-life upgrades (particularly transitions) and outright graphical improvements (the PlayStation 4 exclusive looks stunning) as you contend with the devious, thrilling plot of “Yakuza 2,” which drags protagonist Kazama Kiryu back into the underground world of the yakuza and all the backstabbing, manipulative machinations that entails. Oh, and when you not dealing with bombs and gang wars, you have side quests. Oh yes, the side quests remain one of the principal reasons to play “Kiwami 2,” because who doesn’t like beaten up a nursery room full of men in diapers? And you get to play at Majima Goro! What else needs to be said? I’m a terrible fighting-game player, but even I realize how amazing “Dragon Ball FighterZ” is. It’s just a blast of flying fists and screen-encompassing energy blasts. With a huge roster of fighters, slick visuals, great music, an intriguing story and controls that allow players of all skill levels to partake, “FighterZ” offers plenty for fighting and “Dragon Ball” fans alike. Aside from a lackluster story mode that would have been better simply as an anime rather than a few minutes of videos after 20 minutes of pointless fights (and then rinse and repeat), there’s much to enjoy here. And you even get your own chibi avatar with stickers and titles and everything! That alone is worth the price of admission. Two “Yakuza” games, you ask? Well, yes. While “Yakuza 6: The Song of Life” doesn’t quite rise to the level of “Yakuza Kiwami 2” (which is second only to “Yakuza 0”), it is one of the most fully realized games in the series. Its story, for the most part, is believable and engrossing. (We’re not going to talk about the game’s last few hours, which jump the shark so hard I literally face-palmed.) I won’t say it’s particularly new in anything it does; in fact, it simply streamlined everything to the point where you don’t have to much thought in just about anything you do. Series fans will find plenty to love here, and new fans might even consider returning to older games in the franchise after playing “The Song of Life.” If nothing else, “The Song of Life” made me appreciate spending all those hours playing most of the franchise and getting to know this crazy, addictive world.